Stop doing busywork. Start doing your best work.Are you over-extended, over-distracted, and overwhelmed? Do you work at a breakneck pace all day, only to find that you haven’t accomplished the most important things on your agenda when you leave the office?The world has changed and the way we work has to change, too. With wisdom from 20 leading creative minds, Manage Your Day-to-Day will give you a toolkit for tackling the new challenges of a 24/7, always-on workplace.Featuring contributions from: Dan Ariely, Leo Babauta, Scott Belsky, Lori Deschene, Aaron Dignan, Erin Rooney Doland, Seth Godin, Todd Henry, Christian Jarrett, Scott McDowell, Mark McGuinness, Cal Newport, Steven Pressfield, Gretchen Rubin, Stefan Sagmeister, Elizabeth G. Saunders, Tony Schwartz, Tiffany Shlain, Linda Stone, and James Victore. 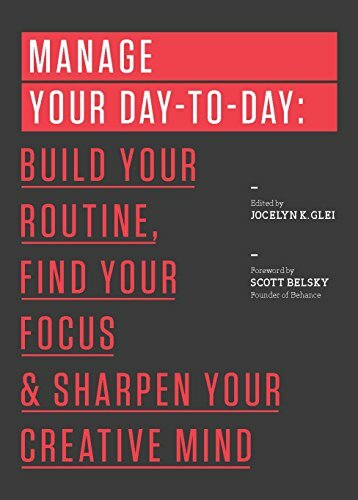 Plus, a foreword from Behance founder and CEO, Scott Belsky.